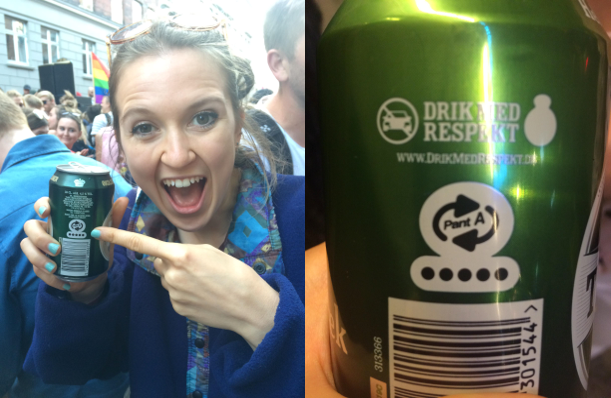 This week, Morgana abandoned Jas and jetted off to Copenhagen for the annual Distortion festival. Since the air miles involved were not very in-line with our Zero-Waste ethos, Morgana set out to discover how to be less wasteful abroad. What better place to learn about sustainability than Scandinavia? Operating under the principle that a fair amount of alcohol was going to be consumed over the course of her holiday, Morgana quickly learnt about Copenhagen’s cans-and-bottles recycling policy. Several countries operate deposit return schemes, adding a small deposit to the cost of drinks to be refunded when the consumer returns the container. Reverse vending machines are available in stores across countries such as Germany, the Netherlands and Scandinavia, where the method has been proven successful in cutting down on waste. For example, in Germany, 98.5 percent of refillable bottles are returned by consumers. So, the system is an all-around boost for local communities and the environment as a whole. On her travels, Morgana saw how Denmark operates under a ‘pant’ system and, no, this has nothing to do with underwear or trousers. The country uses a Pant ABC system where the number of Krones you get differs depending on the size and material of cans and bottles. Returning can be done at reverse vending machines that are in most supermarkets, or at "pantstations": deposit return banks where you can return more cans and bottles at a time. When each container returns between 1 to 3 Krones, there’s an opportunity to make a bit of money from bottle collecting. 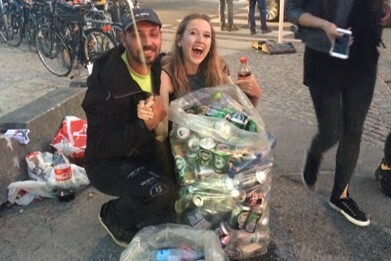 Copenhagen’s group of urban recyclers are largely composed of homeless Danes, newly arrived foreigners and retirees who can collect hundreds of cans and bottles at a time. 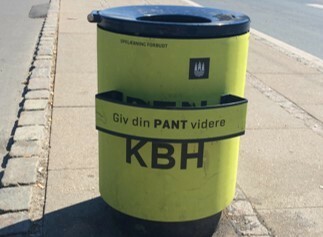 To help facilitate this collection, Copenhagen’s city centre has set up deposit shelves on their bins to remove the indignity of rummaging through the rubbish. In 2014, an estimated 166 million Krones in bottle deposits went unclaimed, but these new initiatives are helping to keep the streets clean and green. Morgana checked out the action at Distortion Festival, where there were empty cans and bottles galore. Lots of bottle collectors were in attendance (the amount that they get from hours of collecting cans and bottle significantly outweighs the cost of the festival ticket), so Morgana went and said hi! After seeing how the major collectors are cleaning up Denmark, Morgana wanted to give it a go herself. 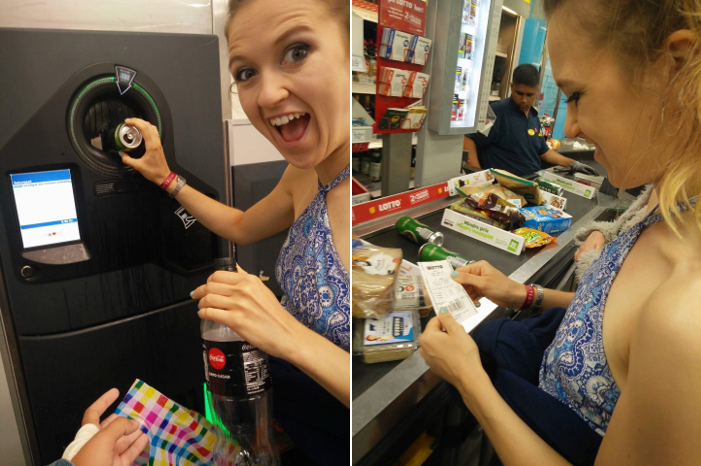 See the picture below of how is excited she is by the deposit return scheme since her home country has been very slow to get with the trends. Morgana’s returned home to the loving arms of Jas now, with some sustainable Scandinavian inspiration for the rest of the challenge.